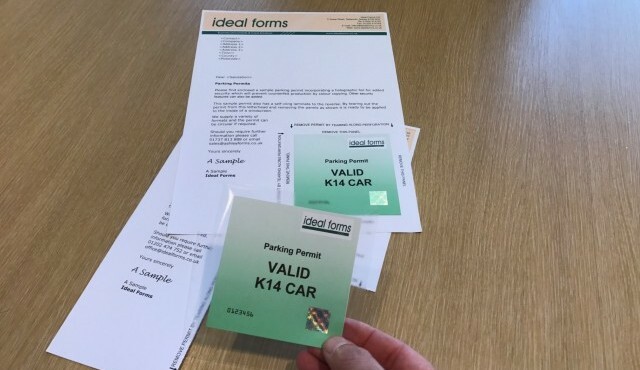 Parking Permits allow easy identification of vehicles that are authorised to park or gain entry to selected areas and those which have been parked without proper authorisation. The permits incorporate a self-cling laminate for applying to the inner side of the vehicle windscreen. 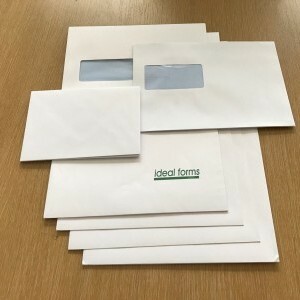 The circular or rectangular permit is normally supplied in an A4 sheet ready for personalisation through a laser printer. 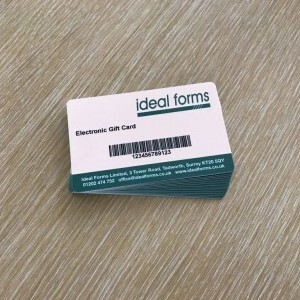 The personalisation can include a car registration number, expiry date and any other relevant information. 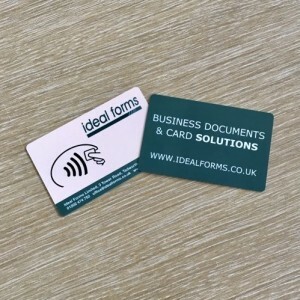 Added security is available with the application of holographic foils to prevent colour copying. 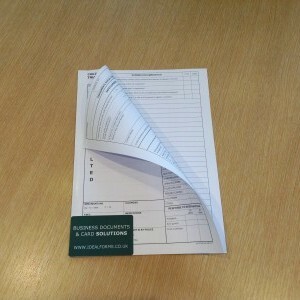 The permit is perforated within the sheet and easily removed and applied to the windscreen using the self-cling laminate.